What Remains of Edith Finch is a collection of strange tales about a family in Washington state. 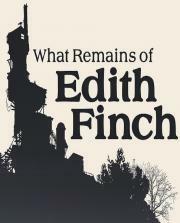 As Edith, you'll explore the colossal Finch house, searching for stories as she explores her family history and tries to figure out why she's the last one in her family left alive. It's all about the atmosphere and how to tell a set of simple stories in a great way. This was a great experience. Not a game, more like a short story. many of the vignettes are breathtaking and extraordinary. the first one took me completely by surprise. while the framing story is fine in concept, it wasn't great in reality, particularly the narration which had that irksome indie quality, complete with silly metaphors. One of the most bizarre and interesting games ever made. the family tree was really confusing to keep track of. I wish they'd drawn it more clearly. This evolved the walking sim by actually adding some fun gameplay to it. You still basically just walk, but the different things you end up doing adds some variety. But it stands out and stands tall with the best in the genre because the story is so compelling. Easily the best "walking sim" ever made.